Traveler Reviews for Private Tour in Girona, Cataluña, Spain by Tour Guide Miquel R.
We thoroughly enjoyed our day with Miquel! Recommended! Miquel was fantastic. Good driver, good guide and patient. He is so proud of his city and the area. His English was easy to understand too. Thanks for an excellent tour. We really enjoyed seeing the region through Miquel's eyes. Knowing that he grew up there, has lived elsewhere, and then returned to his roots gave us a sense of what a special place this is. Miquel provided us an exciting day- his knowledge was so evident and his enthusiasm for his community was outstanding-I only wish we had more time to spend there. Miquel is very kind and patient. He showed us several lovely villages that we would never be able to see by ourselves. We had really good time! 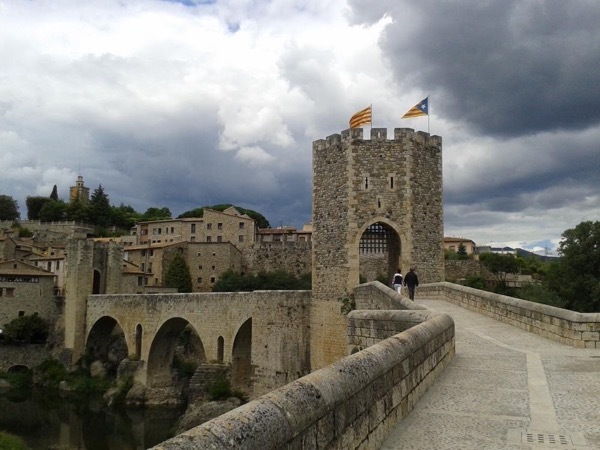 We hired Miquel for a day trip to Girona and Besalu. He picked us up at our hotel in Barcelona, and after a bit of trouble with the GPS, we continued on our way. We enjoyed the day - even though we didn't get to Besalu because of pouring rain. We continued driving and stopped at the lovely village of Castellfollit after the sun came out. Miquel was adaptable to the changing conditions. I think he will get even better as he has more experience guiding.